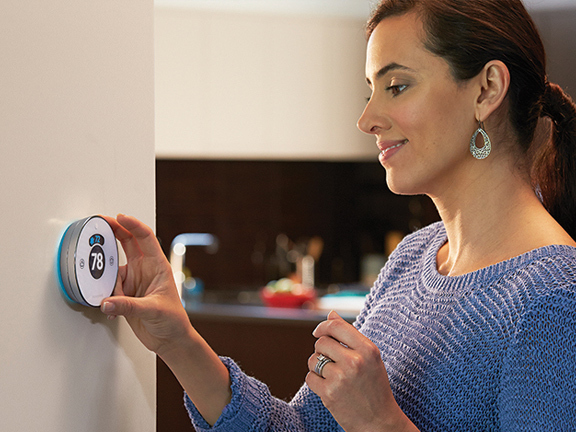 Life's easier with a Honeywell Wi-Fi thermostat at the heart of your home. Honeywell products work with your smartphone or tablet to keep you connected with your home comforts, even when you’re away. Why buy a connected thermostat? Connectivity isn't a trend — it's a way of life. And home comfort is no exception. 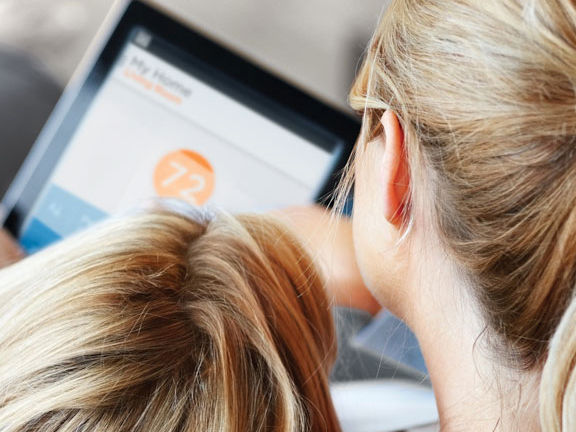 With Honeywell Wi-Fi thermostats, you can remotely monitor and manage your home's comfort and energy usage anytime, anywhere. 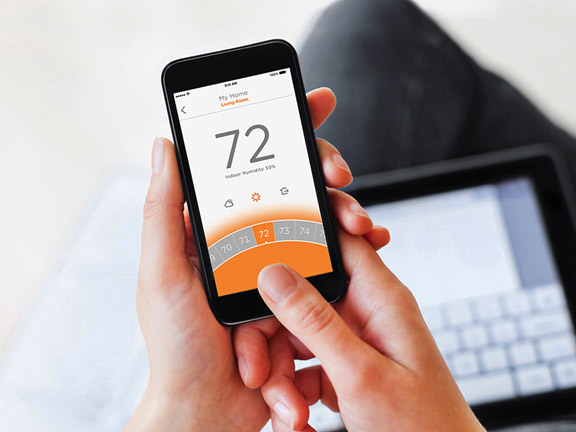 Honeywell Wi-Fi programmable thermostats may be eligible for money-saving energy rebates in the U.S. and Canada. Find out if you are eligible for an energy rebate. Your Honeywell connected home is designed to adapt and grow with you. Discover our ever increasing list of integration partners including Apple HomeKit, Samsung SmartThings and Panasonic's Smart Home Monitoring System. Intelligent alerts. Customizable touch screen. Flexible programming. Intelligent alerts. Smart response learning. Precision temperature control. Location based temperature control. Intelligent comfort control. Compatible with Apple HomeKit and Samsung SmartThings.